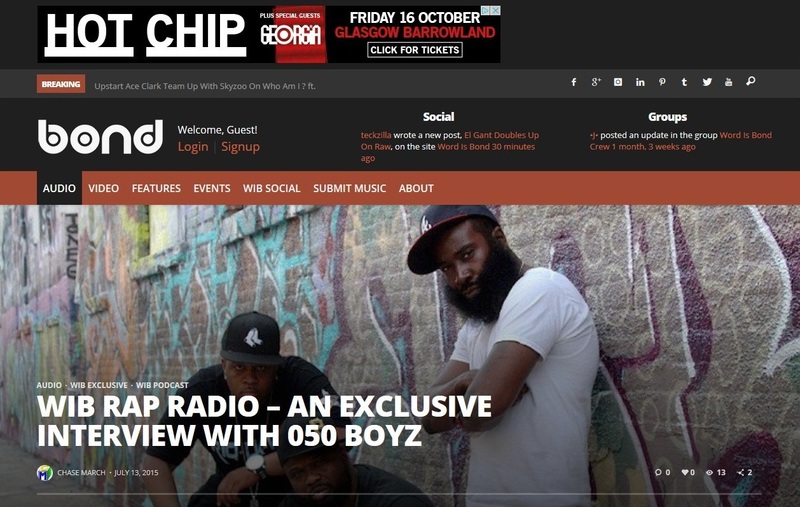 First broadcast on air last week on Canada’s CHRW 94.9FM, the full audio stream of New Jersey’s 050 Boyz interview with Chase March for The Word is Bond Rap Radio Show has now been uploaded onto the WIB website. They talk about all things hip hop, the comparisons between commercial rap and the independent scene, lyrical content, local artists such as Queen Latifah and the Golden Era of the 90’s. They then move on to the multiple debates about “the greatest of all time” and how that can be defined, before discussing their new album “Everything 050”. Meanwhile, Stateside online magazine Surviving The Golden Age has reviewed the album, again picking up on the strong influence of the Golden Era of 90’s hip hop contained within the release.